There I was just surfing over at Amazon.com tonight just looking at various items. I decided to have some fun and type in cupcake necklace and what popped up? 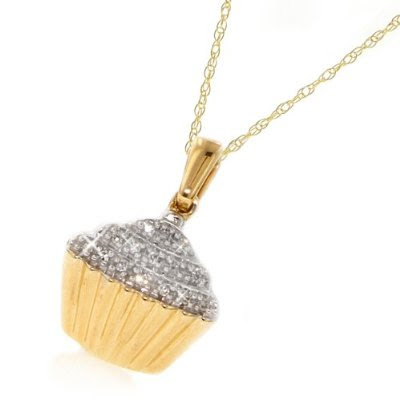 This sweet cupcake pendant, really, you have to admit that it is adorable. You have a tiny bit of bling for the frosting and gold for the cupcake portion, the perfect combination. Would I really wear this? If you would like one for yourself click here. Oh! if you are an ice cream fan (or know of one), I noticed a great ice cream cone pendant here.